Digital addiction has been on the rise amongst young children and with Family Link, Google is finally giving you the tools to prevent it. Google India has finally brought Family Link to India. The service originally launched in March of 2017 and was available only in very select locations. After asking Google for over a year about when they would launch the service in India, the day has finally arrived. 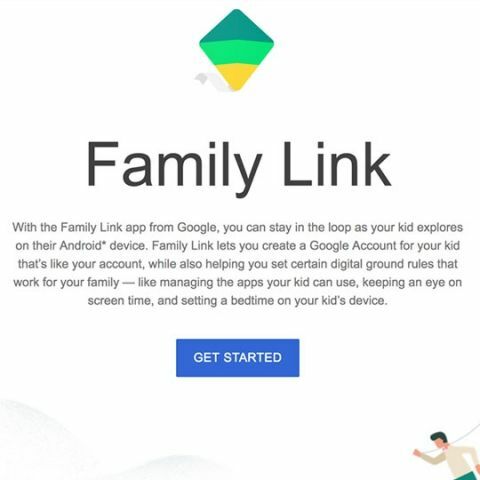 In case you’re wondering what Family Link is, its Google’s way of letting parents establish some level of control over their child’s smartphone usage. For Family Link to work, you need to create an e-mail for your child, who must be under the age of 13. Once created, you install the Family Link app on your child’s phone (which must be set up using the Child’s Gmail ID) and also install it on your (the parent) device. Once you add the child account to your Family Link app, you can establish a number of controls. You can set limits on the time spent on each app and total screen time allowed. You can also approve or disaprove app purchases, along with being able to remotely lock the phone if need be. At a time when digital addiction is increasingly becoming a worry, both Apple and Google are doing their part. There has been a growing concern over the excessive amount of time children are spending on their digital devices, leading to a whole host of issues which researchers in the medical field are just starting to explore. Physiologically, excessive time spent on digital devices has already been shown to alter sleep cycles adversely and also impact the bone structure in the hand. Psychological impacts are still under assessment, but some studies have started to link facets of smartphone usage to issues like body dysmorphic disorder and even depression. Anecdotal observations also seem to suggest that children have become far less social in comparison to previous generations and this could potentially lead to problems in social interactions. Typing 'the1975..com' in your Android phone's Google app will surprise you! Apple investors had written an open letter to Apple earlier this year, pleading that they introduce better parental controls than those that existed at the moment. With iOS 12, Apple introduced Screen Time, which allows users to track their own app usage, set limits etc, but also do the same for a child account that’s part of the iCloud Family. Both Family Link from Google and Screen Time from Apple offer very similar controls, but with a few minor differences. We will explore the efficacy of both the control systems in the coming days to help you decide which if a better option for your kid. For Family Link to work, the child device must be running Android 5.1 and above and for the parental control device, the smartphone must be running Android 4.4 and above.